As part of the acclaimed Baker's Ministerial Collection, this concise guide walks you through everything you will need in performing a Christian wedding. This comprehensive guide is perfect for Universal Life Church ministers that want to get ordained to perform a wedding. This includes up to date ceremonies from eleven different Christian denominations. In addition, you can read about renewal of vow services, special sections on second marriages, and even learn how to perform a blessing of a civil ceremony. 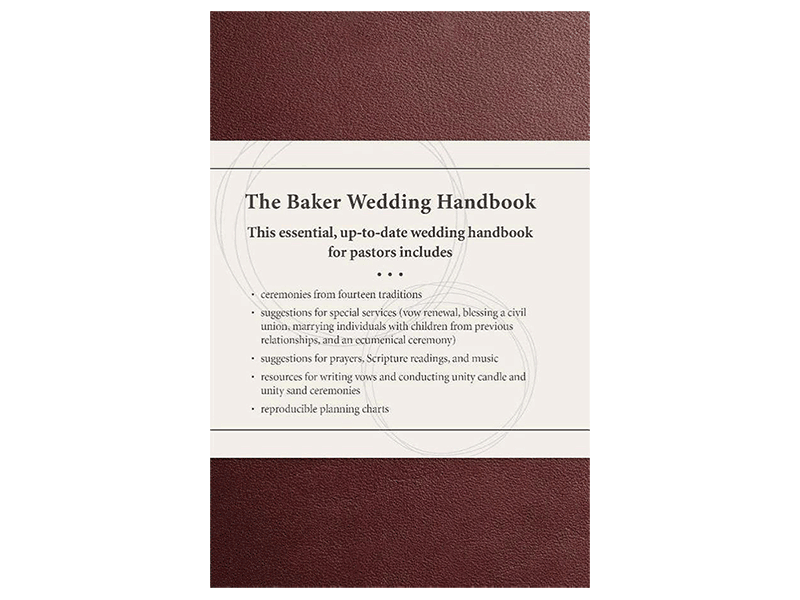 Baker's Wedding Handbook offers suggestions on prayers, vows, scripture readings, and even music to be used during a wedding.